A Mother's Day Gift to Remember! You only have one mom and come Mother's Day we want to make it easy to spoil her just a little bit. It is no secret that women love jewelry, but instead of another pair of earrings or that necklace this year, why not step it up to help Mom take care of all her precious jewelry. For the mom that loves necklaces and bracelets, we have a very unique item that is going to thrill mom to no end. The Espresso Wood Wall Hanging Jewelry Box Mirror Armoire is an amazing gift to give to the jewelry loving soul. This is a gorgeous mirror encased in beautiful espresso polished wood that hangs on a wall and opens to reveal an amazing hanging jewelry box. Enclosed behind a lock and key is a beautiful velvet lined cabinet with 3 removable watch pouches, 8 ring rolls, and 21 necklace hooks. Every women's dream all jewelry box! Plus the mirror provides that extra necessity in the bedroom or bathroom so she can see all the fabulous jewelry she is putting on. This unique gift is priced for gift giving and would make an awesome gift anytime for any jewelry enthusiast, even yourself! Your jewelry is right at your fingertips and no worries about tangled necklaces or missing bracelets. All of them are locked in this tall hanging mirror. Surprise mom this Mother's Day with a fabulous wall hanging jewelry box and show her how much you care. She will appreciate you and this fabulous cabinet knowing that her precious jewelry will be well taken care of. When buying chains to wear for men and women, you will run across so many different names for the style of the chain. Here is a breakdown of some of the classic, more well-known chains and what they look like to help you determine what style works for you. Herringbone Chains - A herringbone neck chain is created when 2 or more rows of metal flat slats are connected together. This type of neck chain lays flat against the neckline and is highly reflective to light. You can find the in costume jewelry metal, gold, sterling silver, stainless steel and platinum. 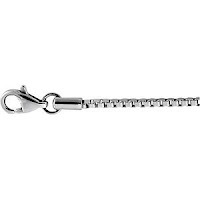 Prices vary greatly depending on the type of metal, length of the chain and the weight of metal used. 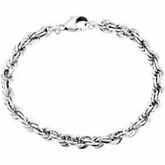 Curb Chains and Figaro Chains - You often see the curb chain in men's neck chains due to their thickness and weight, although you can find them in women's jewelry if they are more on they petite side. Figaro and Curb Chains are when oval links are connected together to form the neck chain. These oval links can be high polished, diamond-cut or a combination of the two. 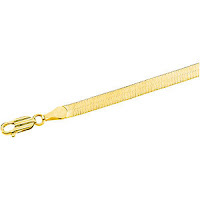 Rope Chain - A rope chain can be found in both men's and women's jewelry. Men tend to like their ropes thicker and larger in size and women tend to like them delicate or moderate in size. Rope chains make great chains to suspend pendants from as long as the diameter of the chain fits through the pendant's opening. A rope chain is made when metal strands are twisted together to resemble a rope. They can be done in fashion jewelry metal, gold, sterling silver, stainless steel or in platinum. Prices vary greatly on rope chains depending on the materials, length and weight. Box Chain - a box chain is one of the most popular chains for those who like to wear pendants on their neck chain. The chain is boxy in shape and very durable. 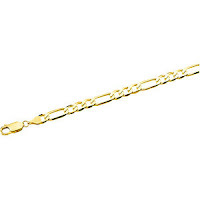 You can find box chains in various lengths and thickness, and made from a wide variety of metals. We see more women than men sporting around box chains and prices can vary according to materials use to make the box chain. We will be looking at several more chain styles in the coming weeks so you can be aware of all the different types and style to find the perfect chain just right for you and your fashion needs. Irish jewelry has made a mark on jewelry fashion. The simple and yet symbolic jewelry pieces that are available are classic and yet universal to all; men and women alike. What is great about the beautiful Irish jewelry styles is that they are not for those from Irish heritage alone. They are enjoyed by anyone that loves the beauty of the work and the meanings of the piece. Here are a few different styles you can find to enjoy. 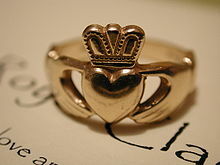 * The Claddagh has always been popular with those who love Irish tradition and jewelry. The Claddagh looks like two hands that circle a heart topped by a crown. This symbol signifies friendship, love and loyalty so it's popular among couples and those who are best friends. Tradition says that if you wear the ring on your right hand with the crown turned inwards that your heart is not fulfilled and you are open for love. If you wear the crown turned outwards, you have a love interest. If you wear the ring on your left hand with the crown facing out, you have found true love. 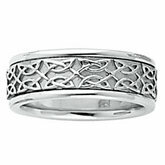 * The Celtic knot is a popular style that you often see in earrings, pendants, rings and bracelets. The Celtic knot can also be referred to as the mystic knot, or the endless knot and it can be symbolic to many in different ways. Some believe it stands for intertwining lives or an endless life in spirit due to the knots having no beginning or end. They are beautiful in any aspect. If you love big and bold statement pieces, look for big beautiful cuff bracelets or bangle bracelets that show off the intricacies of the Celtic knot work. 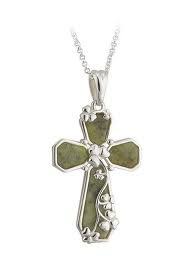 * If you are looking for a more unique Irish style jewelry you can seek out pieces that are made with Connemara Marble which is very popular in Irish Christian themed jewelry. you will often find Connemara Marble in rosaries such as necklaces, bracelets and finger ring style rosaries all of which are beautiful and elegant to wear. Enjoy lovely cultural jewelry that is beautiful and steeped in tradition for classic, beautiful style. From the time the world met Diana Spencer she was loved. The beautiful, shy and reserved young lady that grew up to be a princess took the world by storm. Princess Diana was born Lady Diana Spencer Frances on July 1st, 1961 and grew up to marry the Prince of Wales, better known as Prince Charles. Lady Diana was able to choose her own engagement ring from a collection of rings that were presented to her by Garrad Jewellers, on behalf of her future husband, Prince Charles. Lady Diana loved jewelry, especially exquisite jewels with clusters of gemstones and was very fond of sapphires and diamonds. She eventually chose an 18 kt. gold oval shaped blue sapphire that weighs approximately 7-9 carats, surrounded by 14 small round diamonds as her official engagement ring from Prince Charles. It was very similar to her mother's engagement ring and Diana loved it. It was the perfect shape and size for her beautiful and delicate hands. After she received her engagement ring and the public saw it, many jewelry manufacturers came out with their own copies of the ring. You could find copies in the fashion jewelry market and in the gold market. It is still a highly copies style today. The ring is now the engagement ring of Catherine Middleton, now the Duchess of Cambridge and the wife of Diana's elder son Prince William, 2nd in line to the throne of England. This famous ring, while simple in design, has made a large impact on the world due to the love for the woman who made it famous. Lady Diana passed away August 31, 1997 but lives on in her many charities she set up and worked with and in the hearts and minds of those that revered her. With Mother's Day coming right around the corner, we were thinking about the types of gifts that mom's like to receive. We know it can be hard to choose something that is just right, but Chasing Treasure has a lovely selection of the right gifts that your mom is going to love receiving from you. Today we are featuring a gorgeous modern style minimalist jewelry box that has a fabulous look and some very nice features that put it on the list for a great mom gift. The Ladies Java Wood Jewelry Box with Auto Tray & Mirrored Lid is a spectacular looking product that is made from wood and has a beautiful dark Java finish. Inside the lid are a full mirror and a hinged tray along with a drawer that automatically opens when the lid is raised. This is a great feature so you can find what you are looking for quickly as everything is laid right out for you! The interior is lined in a lovely soft fabric and offers four open compartments and ring rolls. The exterior is carefully crafted with notched corners and beautiful silver tone, pearled hardware. The jewelry box is one that will make an amazing gift for the special mom in your life. Keepsakes like this are important for a woman and by receiving a beautiful jewelry box such as this Java Wood Jewelry Box, you are sure to make a lasing impression for her. Visit our website and take a look at this lovely box and the other wood jewelry boxes we offer too. We know you will find the perfect gift for mom this special Mother's Day. There are so many different styles and types of Bracelets in the marketplace now, some help with jewelry terminology may help you with selecting the right one for you and your fashion sense. Let's take a look at some for the great styles that are popular now. 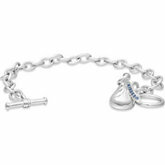 Charm Bracelets: This style of bracelet consists usually of a chain bracelet with various charms dangling off of it. You can purchase a charm bracelet that has already been filled up with charms or purchase a blank one and fill it up with charms that mean something to you and your life. Bangle Bracelets: Bangles are a style of bracelet that is usually made from metal, wood or plastic. 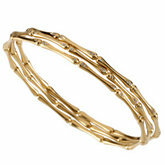 It can range in the level of thickness, but most think of bangles in a thinner style so you can wear many at one time. This style of bracelet doesn't have a clasp or hinge so you simply slip it on over your wrist. 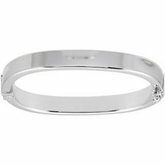 Hinged Bangle Bracelet: This style is just like a classic bangle bracelet but has a hinge mechanism which makes it easier to get on and off. Cuff Bracelet: A cuff bracelet can be made from a variety of materials like metal, wood and plastic. 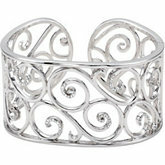 A cuff bracelet has an opening on the bracelet and can be 'squeezed' to give you a custom-fit bracelet. European Slide Charm Bracelet: This style is similar to the Pandora style where the larger opening in the bead allows for the chain or cord to run through the bead so you can stack any amount, color and design of the beaded charms on your bracelet. 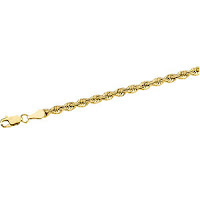 Chain Link Bracelet: This is your classic style bracelet that is made form a chin of metal. You can find classic styles a Rope, Figaro, Herringbone and Rolo chain to name a few. Using these terms you are going to have a much better idea of the style of bracelet that you enjoy as well as knowing what to ask for when making a purchase. When it comes to jewelry storage one of the most elegant options is to get a jewelry armoire. Armoires are free-standing pieces of furniture, as opposed to dresser-top chests and boxes. They can hold large and varied collections and add to the decor of your room, however up to now it has been hard to find jewelry armoires that allow you to lock them. Armoires are particularly important if your jewelry collection contains a number of necklaces, because many armoires have compartments with swing-out doors on both sides that allow you to store necklaces in a hanging position. There are three new floor armoires available at Chasing Treasure that can be locked which adds security to the convenience and elegance normally associated with an armoire. Let's take a look at these three new floor armoires that lock. The first model features a hand rubbed cherry finish and a patented design that locks all the drawers. The free standing cabinet design provides storage capacity for jewelry and scarves while the tall sides allow tangle free storage for your favorite necklaces, chains and beads. The cherry finish and detailed carving of the wood should provide a good addition to the decor of your bedroom. The lock is cleverly hidden inside the necklace cabinet and your various jewelry pieces will be secure in lushly lined compartments. 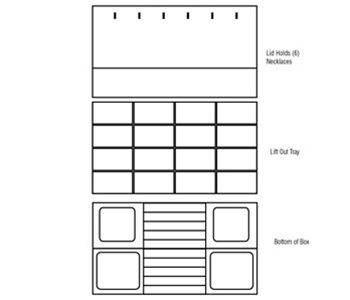 The main lock secures all the eight drawers. In case you are wondering about the quality of this item, it has solid wood front and sides and it is hand lined. It measures 40 inches high, 13 inches wide and 19 inches deep. It weight 85 pounds and retails at a list price of $550 but is on sale now for less than $400. The second locking jewelry armoire also has swing-out side doors, a lift-up top section with a full mirror and seven pull out drawers. This armoire has a walnut finish and its lock is located inside the necklace swing door. On this armoire the seven drawers lock securely. The top and side sections are made of solid wood. The hardware is brushed metal and the drawers have luxurious sueded lining. It ships fully assembled, with the mirror detached to avoid shipping damage. The dimensions of the armoire are the same as the first model mentioned; 40 inches high, 13 inches wide and 19 inches long. The last armoire in this new collection is a mahogany beauty. It features seven locking jewelry drawers, a divided top storage section and twin swing out necklace cabinets for all kinds of necklaces. It is fully lined to cushion and protect fine jewelry. The key lock is located inside the necklace cabinet and locks all seven drawers. It has a rich dark mahogany espresso finish which easily blends with traditional and modern decor. This is the perfect furniture solution for storing a large collection of jewelry, necklaces, scarves and accessories. It lists for $600 but you can save over $175 by buying it on sale. So, the days when you couldn't find a locking armoire are over. One of the three models I have described above should be able to satisfy the needs of any discerning shopper searching for locking jewelry armoires. by Linea Riffel, Contributing Editor for ChasingTreasure.com, online retailer of jewelry boxes for women, watch cases for men, and music jewelry boxes for girls. Linnea is a wardrobe consultant and writes about fashion trends and gift ideas. Remember the Cat's Eye gemstone? This stone was very popular at one point and it is regaining popularity again. Cat's eye jewelry has been popular for hundreds of years and today you can find man-made cat's eye gemstones or even better, the real gems made by Mother Nature. One of our favorites and the most famous is the Chrysoberyl Cat's Eye which is a member of the beryl family of gemstones. 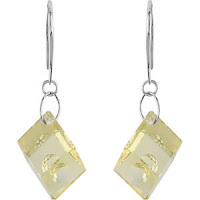 Translucent yellowish Chatoyant Chrysoberyl is called cymophane or cat's eye. Cymophane has its derivation also from the Greek words meaning 'wave' and 'appearance', in reference to the Chatoyancy 'cat's eye' exhibited. The Cat's Eye is classified as a rare and exotic gemstone and prized by those who can find it and afford it. The color range of this stone is found in a beautiful array of yellow, golden, brownish root beer and some reddish colors. This is a durable hard stone coming in at 8.5 on the Mohs scale, right behind the ruby and the sapphire. To wear this lovely stones, look for beaded Chrysoberyl Cat's Eye necklaces, bracelets, small round stud earrings or as a single stone set in a pendant (hanging from a nice neck chain). You can also find it cut as a cabochon and set into a beautiful ring setting or in a button style earring setting. Just like all semi-precious gemstones it does need to be handled with some care. When it comes to cleaning your gems you want to use a damp cloth to wipe down your jewelry pieces. Never submerge them in water or harsh chemicals. If your pieces get really dirty it is best to take them into a professional jewelry and have them cleaned. When it comes to storing your beautiful pieces, a lined jewelry box is best. You should not store them by tossing them into drawers, paper boxes or bags. You should also not store other pieces of jewelry jumbled with them because they could damage the surface of your stones. By caring for this lovely piece of the earth you will ensure that it can be passed down for many generations. This is a unique and beautiful stones that everyone can enjoy wearing. Jewelry boxes come in all sizes and range from small cases designed for children to luxury jewelry boxes and chests that would not be out of place in a queen's palace. If you are in the market for a high-end jewelry box then this article can serve as your buying guide. The most luxurious jewelry boxes are solid pieces of furniture made out of fine hardwoods with mitered corners, sturdy hardware, compass hinges, luxurious hand-fitted linings and piano finishes. Some also have locks and keys for added security and privacy. 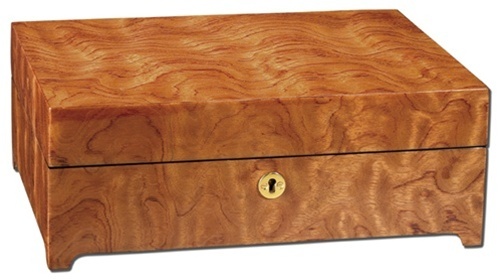 A good example of a luxury jewelry box is the fully locking bubinga wood jewelry box. It is hand cut and hand finished and takes over 20 days to produce. This gives you the reassurance that you are not getting something that is churned out on an assembly line. With three pull-out drawers and two doors that swing out for necklace storage, it can house a large and varied collection of jewelry. Its inlays are stunning and one customer commented that "the inlaid wood design is much better looking than the picture shows. I've been to Sorrento, in Italy where they make the inlaid wood and it would cost three times more." This box lists at $520 but at Chasing Treasure you can get it on sale for $379.95. When you shop online, maintain your vigilance about the quality of products you see but be ready to snap up any handcrafted items that are being sold at substantial discounts from the list price. Another of the high-end jewelry boxes is an artisan teak wood jewelry box chest. This box features Teakwood construction with a cherry piano finish. The mitered corners give a seamless appearance and a large mirror in the lift lid, omega necklace storage, multiple drawers, and lush "silsuede" interior all go into making a luxurious box which will become a family heirloom. This type of luxury box sells for $650, but like the previous jewelry box mentioned if you shop for it on sale you'll find it for under $400. The luxury boxes come in various shapes and sizes but they are all characterized by fine woods, artistic finishes, good hardware and hand crafted construction. The best of the jewelry boxes are made out of solid wood with hand rubbed finishes or high quality exotic veneers. All of these elements make the price higher, but they enhance the value and durability of the finished product. If you think about the long-run and want your jewelry box or chest to be handed down as an heirloom from generation to generation, then the higher price of the best products are completely reasonable. So, look around and make sure that you check the details of the composition and method of construction of the box, and then choose one that will give you and your heirs satisfaction for a long time to come. Watches have become such a fashion jewelry statement in the past few years. The styles and creativity of the watch designs have really escalated the simple timepiece into a lovely piece of statement jewelry that you can wear with bangles as well as mix and match with a host of other jewelry items. Let's take a look at what beautiful watch trends we see coming for spring fashion that you can bring into your current fashion selections. * Watch bands in hot tropical colors for spring and summer. Look for colors like lemon yellow, lime green, orange, fuchsia pink, turquoise blue. Beautiful! * If you want to splurge, go for a rose gold or rose gold plated metal watch and watch band this spring season. * If you like animal prints and dress a lot in big cat animal prints then grab a new animal print watch or a tortoise shell print watch. Darling! * If you are budget conscious, opt for a watch set that comes with 1-2 watch faces and 6 or more watch bands that you can interchange to create your own look. By incorporating one or more of these great watches into your wardrobe, you are going to be ahead of the fashion pack. Luckily womens watches are generally inexpensive and being able to add one or several to your jewelry box this season is going to make dressing for the day so much fun and exciting too! Check out the Chasing Treasure selection of womens watch cases for a great storage idea so that you can protect your investment and display them in a gorgeous way, even when not wearing them. Should I buy an Anti-Tarnish Jewelry Box? Your silver jewelry may look dazzling and sparkling today, when it is new, but if you do not pay attention to the proper care and storage of your collection, many of your favorite pieces could be dull and tarnished in the future. One solution to this problem is to store your jewelry in an anti-tarnish jewelry box, and this article will guide you through the process of choosing the right box as well as offering other hints on jewelry care. Your silver jewelry items are the ones that you need to protect from tarnishing Due to humidity or contact with perfumes, human hair, sulfur, food and other household substances sterling silver becomes tarnished. If you are someone who does not like to keep polishing jewelry then an easy solution is to get a jewelry box that has linings that have been treated with an anti-tarnish chemical. An example of a jewelry box with an anti-tarnish lining is our Italian inlay jewelry box that is styled for men or women. It has a velvet cloth interior that is specially treated to prevent against tarnishing. Made of wood with an ebony finish, its lid has inlaid design and burlwood inlay. It is a beautiful piece to put on your dressing table, and its inside has been designed to protect your jewelry. Similarly you will find many other boxes ranging from small dresser top pieces to large armoires that have special liners. Look for the box that best suits the size and variety of your jewelry collection and your budget, and then opt for the ones with anti-tarnish linings. There are, however, some pros and cons when it comes to these linings. They work by preventing minute contaminants from reacting with the silver and while the anti-tarnish agents remain in the linings your jewelry will be protected. However, due to constant use there is a chance that the chemical agents in the lining will wear away after some time and if that happens the box may not provide the continued level of protection that you were hoping for. Another possible drawback of anti-tarnish jewelry boxes is that some users worry that the chemicals on jewelry liners may rub off on jewelry that is worn close to the skin, possibly causing an allergic reaction. If you do not want to get a jewelry box with anti-tarnish liners or if you would like to keep especially vigilant in protecting your collection there are other steps you can take to keep your jewelry shining. You can get ant-tarnish strips and place them in your jewelry boxes or you can polish and/or wrap your jewelry using anti-tarnish cloths. These cloths have minute bits of silver in them and they absorb sulfur and will become black after a while, so you will have to replace them. Silica gel granules often found in bottles of aspirin and other medicines can be placed in your jewelry box and they will absorb humidity. Even a small piece of blackboard chalk placed in your box will provide protection. So, take a look at the beautiful jewelry boxes with anti tarnish linings and if you find one that suits you, get it. However, also keep your eyes on your jewelry and get ready to apply additional measures if it becomes necessary. There is much conversation about the Titanic lately and about a diamond necklace that is supposed to have really existed. Was the Heart of the Ocean a real diamond or something that was created just for the movies? Well, it could be both. It has been said that there was a blue diamond pendant on the RMS Titanic. Supposedly a necklace was given to passenger Kate Florence Phillips by her married lover, Samuel Morley. They were on their way to America to make a new life for themselves. Morley perished in the sinking which became the basis for the 1943 film Titanic as well as the 1997 remake too. Many historians say that the original Hope Diamond is the necklace that is being referred to because of its rock history. To bring the movie and the all-important Heart of the Ocean diamond to life for the movies, London bases jewelers Asprey & Garrard created the necklace with a blue cubic zirconia set in white gold. The cost of the necklace was approximately $10,000 back in 1997 when it was used in the film. Today, this famous prop is property of Twentieth Century Fox Studios. However, Asprey & Garrand were also commissioned during the release of the Titanic in 1997 to make a real Heart of the Ocean necklace using the original design. The necklace they came up with was a gorgeous platinum-set, 170 carat heart-shaped Ceylong sapphire surrounded by a row of 65 diamonds, totaling 36 carats. The necklace was valued at $3.5 million at the time. It was sold a a benefit auction for the Diana, Prince of Wales Memorial Fund and Southern California's Aid for AIDS for $2.2 millions, with the condition that Celine Dion would wear it to the 1998 Academy Awards ceremony. She did indeed wear the necklace at the show and sang the film's theme song "My Heart Will Go On." The necklace reportedly belongs to the daughter of an Asprey & Garrard client. Are you a fan of the titanic and all the romance that is wrapped up in the mystery of the famed necklace? Heart of the Ocean replica jewelry can be found online at many reputable jewelry websites and, popular as a romantic gift, the song "My Heart Will Go On" is found in this gorgeous musical trinket box that is available at Chasing Treasure. In our series about different types of gemstones we are bringing to you an interesting piece that is one you may not have heard of before. The beautiful Ammolite gemstone is quite rare and often times you can only find Ammolite jewelry in high-end jewelry stores or stores that typically carry jewelry made with rare gemstones. Ammolite is a valuable opal-like organic gemstone found primarily along the eastern slopes of the Rocky Mountains of North America. It is made of the fossilized shells of ammonites, which in turn are composed primarily of aragonite, the same mineral that makes up nacreous pearls. Ammolite did not begin to garner interest in Western society until the 1970s. The main attraction to this gemstone is its play on light and its rainbow of colors is similar to what you would typically see in an Opal gemstone, although the color tones & hues in Ammolite are deeper and richer in appearance. Its main colors reflect red and green tones primarily and it has a beautiful iridescent look to the stone that is quite unique. In the late 1990s, practitioners of Feng Shui, began to promote Ammolite as an "influential" stone with what they believe is the power to enhance well-being and detoxify the body by improving its flow of energy or "chi". Named the "Seven Color Prosperity Stone", each color is believed by Feng Shui practitioners to influence the wearer in different and positive ways; a combination of ruby red, emerald green and amber yellow is most sought after for this purpose, the colors being said to enhance growth, wisdom, and wealth, respectively. This is a very soft gemstone so any jewelry you purchase needs to be handled with care as it only comes in at about a 4 on the gemstone hardness scale. You never want to wear your Ammolite jewelry while cleaning, swimming, bathing, showering or while washing your hands as it needs to be protected from water. Your jewelry pieces should never be stored in direct sunlight, extreme heat, and extreme cold or in moisture-rich environments. Store is in a lined jewelry chest separately from other jewelry pieces. If you Ammolite jewelry needs to be cleaned you should just wipe it down with a slightly damp soft cotton cloth. If you find that it needs a more heavy duty cleaning then its best to let a jeweler handle this for you. 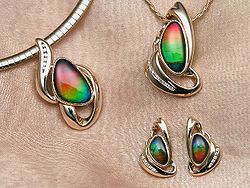 If you have the opportunity to see the beautiful Ammolite gemstone, you will see its lovely beauty. Any jewelry piece that is set using this stone will certainly be a unique and amazing piece. Looking for a lovely gift for mom is really easy when you let Chasing Treasure help you select the perfect gift. Moms love beauty and the selection of outstanding hand carved wood jewelry boxes is enough to drive you mad. But never fear! We are here to help you choose something so special, mom will be speechless! Our pick for today is an awesome Bubinga Burl Wood Dresser Top Locking Jewelry Box that will fit Mom's tastes to a tee. This beautiful dresser top jewelry box is crafted in a gorgeous Bubinga burl wood with its unique color and grain. It is finished with a high gloss piano finish and features a lift out jewelers tray. Gorgeous! This amazing and exotic jewelry box includes a lock and tassel key, necklace hooks and a shirred pocket in the lid plus a lift out jewelers tray with divided sections for earrings or pendants. Storage under the tray includes padded ring rolls, watch or bracelets pillows. This stunning box is fully lined with tarnish resistant silsuede lining and sits on stylish wooden feet. Its low profile allows it to sit beautifully a top a lovely dresser and bring additional beauty into the room. Come by and check out the fine finish and amazing craftsmanship of this luxury jewelry box. It is ready to ship and comes in a nice white presentation box and makes a perfect gift for Mother's Day or any special holiday. It is easy to spoil Mom this year when you let Chasing Treasure do the work for you. Bangle Bracelets have been a trend for hundreds of years. This is one item that will never go out of fashion. One reason is the versatility of the bangle. There are so many different styles; we could talk about them for days and days. But let's sum up what makes bangle bracelets so popular and trendy. * Bangle bracelets come in various shapes, styles, and colors and can be made from various materials like precious metals, semi-precious metals, wood and even plastic. You can purchase bangles from every price point imaginable...like 1.00 and up for fashion jewelry and up to thousands of dollars for high-end bangle bracelets made from precious metals. They are affordable for everyone! * Bangle bracelets come in various styles: (a) cuff bangle bracelets (b) hinged bangle bracelets (c) slip-on round, square or oval shaped bangle bracelets (d) coil styled bangle bracelets - to name just a few of the styles you'll find in department stores and jewelry stores. * If you are not much of a standard watch person you can find bangle bracelets that have watch faces on them which are very much in-trend for this year. They look great when paired with other bangles of similar style and material. * When storing your bangle bracelets try to store them lying flat in a good jewelry box and not laying on top of one another as they can scratch and dent easily. If you have a lot of bangle bracelets in your jewelry wardrobe consider purchasing a ladies watch box and storing your bangles inside of that or a free standing velvet display bar for a beautiful design piece. With Bangles, you never have to worry about having too many or that they will go out of fashion. Enjoy wearing them as often as possible and with all of your favorite outfits and you will be the trendiest gal around. A ballerina jewelry box is one of the most memorable gifts a little girl will receive. Often kept for generations, the dancing ballerina twirling to a favorite ballet music box song is fascinating when young and sentimental when grown. There are a few songs that are favorites among the makers and buyers of ballerina jewelry boxes. Here we highlight three boxes featuring three popular ballerina jewelry box songs. Tchaikovsky's excitement with Swan Lake is evident based on the quick speed with which he composed. Commissioned in the spring of 1875, the piece was created within one full year. The ballet tells story of a prince who falls in love with a princess, Odette. She has been placed under an enchantment by the evil sorcerer Von Rothbart, and consequently is a swan by day and a human at night. To lift the spell, a human prince must pledge his love for her. The Nutcracker Suite is a popular ballet composed by Tchaikovsky in 1892. Most often performed during the holiday season, it tells the story of a young girl named Clara who anxiously awaits Christmas morning and spends the night dreaming of vivid scenes with wonderful characters. Waltz of the flowers is literally a waltz performed in Scene 1. 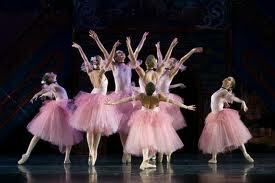 Also from the popular ballet, Nutcracker Suite. The Story: Clara and the Prince travel to the Land of Sweets, ruled by the Sugar Plum Fairy in the Prince's place until his return. The Prince recounts for the Sugar Plum Fairy how he had been saved by Clara from the Mouse King and had been transformed back into a Prince. In honor of the young heroine, a celebration of sweets from around the world is produced. To conclude the night, the Sugar Plum Fairy and her Cavalier perform a dance. For more information on ballerina jewelry boxes read our Ballerina Jewelry Box Buying Guide . Bloodstone jewelry pieces are very beautiful but extremely hard to find out in the general jewelry marketplace but you can find them at specialty jewelry stores. If you are not familiar with this type of gemstone we are going to tell you all about it today here on our Chasing Treasure jewelry box blog. The Bloodstone is a deep green colored gemstone that is opaque and made from Chalcedony Quartz. It is a distinctive looking gemstone thanks to the tiny red spots that are speckled throughout the stone. 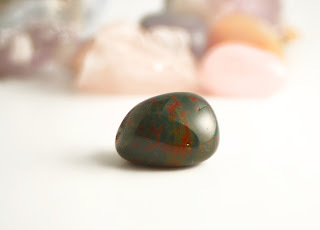 There are some high-grade Bloodstones out in the marketplace that don't contain the tiny red spots but these would be a much more expensive gemstone to purchase and harder to find. This beautiful gemstone can be traced back to the ancient times and was a very popular gemstone back then. The Bloodstone was the original birthstone for the month of March but it has since been replaced with the pretty Aquamarine stone. When dealing with this gemstone in your beautiful jewelry pieces you want to treat your pieces and stones with special care. You never want them to get wet or to come into contat with household cleaning agents. If your jewelry pieces should become dirty you should use a clean cotton or jeweler's cloth to simply wipe down the stone and to wipe around the stone. If the piece needs a more heavy duty cleaning we recommend that you take the piece to a jeweler to have it cleaned. Many bloodstone gems are seen in beautiful brooches, drop pendants and necklaces because of their stunning appearance. Matching earrings are typical and together they will make a lasing impression. Rings are an inexpensive way to incorporate jewelry design into your spring wardrobe. Today we have 3 great trends that you may want to check out and add to your jewelry collection. First Trend: We normally see Turquoise set in sterling silver but this season we are seeing a lot of Turquoise set in precious gold, gold-tone and even in the trendy brass metals. Seeing Turquoise in the yellow-tones metals really gives it a fresh new look and this is a stone that is so gorgeous anyway, it really enhances the color even more. It is beautiful with the spring fashion colors that really make it pop. Second Trend: Cigar Band style rings are starting to make an impact this season and we expect to see them even more as we approach Fall 2012. However you can get a jump-start on this trend by purchasing a cigar band ring if you like the big, bold and trendy look when it comes to rings. Many of the men's styles in rings feature a similar design in metals and enamel. Third Trend: The Feather and Leaf motif rings have been popular this year and if you enjoy the hair feathers trend this season, adding a feather and leaf design in a ring may be a great choice. You can find these rings in many types of precious metals in fashion jewelry this season and they are normally very affordable. Adding several trendy rings to your jewelry collection is an easy way to stay up on the latest styles and not have to spend a lot of money. 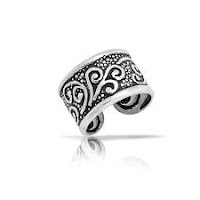 Next time you are looking for a bit of a fashion update, check out some trendy rings. You know as well as I do that sometimes finding the right gift for mom can take a while. Most moms I know will tell you that they don't want or need anything. Here is a tip from a mom... don't fall for it. Secretly, we do! So now is a great time to start looking for a great Mother's Day gift that she will be impressed with. So many moms are on the run these days with working and children and a household to take care of as well. We found an awesome gift that will let her know that you are thinking of her and want to help her organize a few things in her crazy day! Chasing Treasure has a gorgeous red faux leather charging station with jewelry organizer attached that will offer a neat storage solution for accessories plus a convenient place to charge her electronic devices that neatly hides the cords so she has a sleek and stylish way to charge her phone etc. The handy jewelry storage compartment shlep her keep track of watches and jewelry that she was worn that day, corralled all in one spot. Plus it doubles as a handy take away travel case. The charging station holds 3 electronic devices for charging, such as her Blackberry, Ipod, Bluetooth, or other hand held devices, all while hiding the cords underneath the shelf. The cute Jewelry Tray and removable Travel Case is a perfect addition so her favorite items are always at hand and can be thrown in a bag. She can be out the door to the next meeting, overnight trip or football game in a flash. We know that you are looking for a unique and yet impressive item for your special mom on Mother's Day. This charging station with jewelry organizer attached is a great gift idea! Come by and see what other great items Chasing Treasure has to offer too. We have what your mom is hoping for! It has been said that the Duchess of Windsor had an extensive collection of precious one of a kind jewelry from the most talented jewelers of the day. 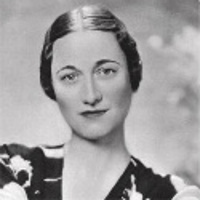 The Duchess of Windsor was named Bessie Wallis Simpson, who lived from 1896 - 1986. She was an American who married Prince Edward, Duke of Windsor, England's former King Edward VII. The Duchess of Windsor was a controversial figure thanks to her 2 previous failed marriages to American men. The King was in love and wanted to marry her so he abdicated the throne in December 1936. After abdicating, his title became the Duke of Windsor and he married Simpson six months later. Her title became the Duchess of Windsor. The Duchess prided herself as being one of the best-dressed women in the world and with that came beautiful accessories and jewelry. She had a very large high-end jewelry collection which was sold at auction in 1987 after her death, for a reported 30 million pounds - $50 million US dollars. One of her most famous pieces from her collection is the amazing Flamingo Diamond Clip that was designed by Cartier back in 1940. This piece was custom-made for the Duchess. 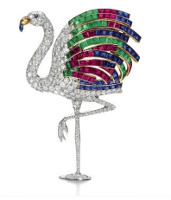 The Flamingo is standing in a customary stance and the body and legs of the bird is covered in Pave Diamonds. The plumage of the bird is in a magnificent colorful collection of rubies, sapphires, emeralds and citrine. The entire design is set in high-end platinum. A truly beautiful piece, fit for a royal with a bit of humor too. This piece was aquired by a private collector at auction for 1.7 million pounds and has not been seen other that in replicated costume fashion jewelry. The flamingo Diamond Clip is truly a one of a kind piece of famous precious jewelry. There are so many different types of earring styles and new ones are popping up all the time. Here is a nice list of earring styles with a bit of explanation so you can be in the know. * J-Hoop Earrings - These are very similar in look to a hoop earring but they are "J" shaped. 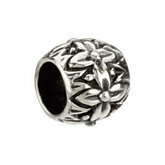 They can be found in pierced or non-pierced styles. * Button Style Earrings - These are earrings that don't have movement and sit close to the ear. 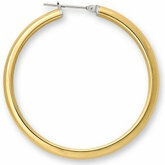 * Hoop Earrings - This style of earring comes in many different shapes and sizes. The most common hoop styles are round and oval shapes, but you can also find hoops in squares, rectangles and triangles too. * Chandelier Earrings - This style of earring has a lot of movement and several dangles that are suspended from one stationary piece of the earring. 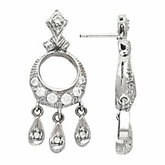 * Dangle Earrings - This term describes any earring that has movement that falls below the edge of the ear lobe. 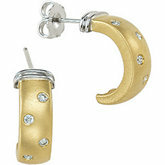 * Clip-on Earrings - These are earrings that are made specifically for non-pierced ears. A piece of metal or fiber is threaded through the pierced hole of your ear and dangles down in the front and back of your ear. 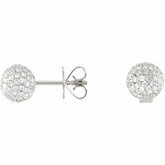 * Stud Earrings - This is a style of pierced or non-pierced earring that has simply one gemstone or one small metal ball. These are always simple styled earrings for a very classic and modest look. 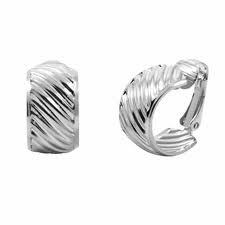 * Ear Cuffs - These are tiny earring hoops that are shaped like a miniature cuff bracelet that hook on the outside of your ear. They can be adjusted to fit your ear, perfectly.